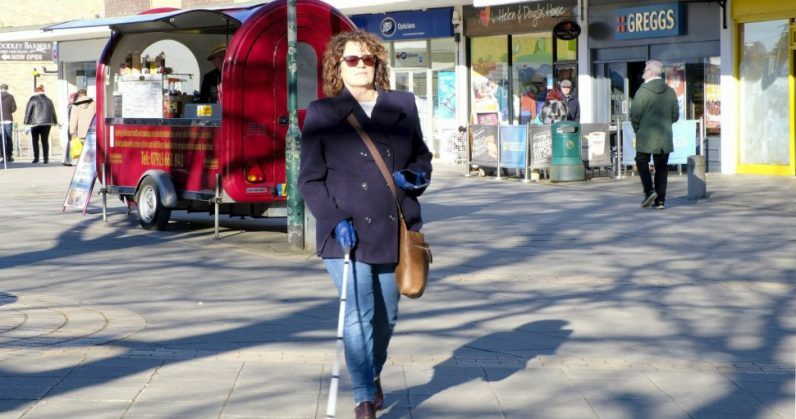 After roughly four years in the making, Microsoft’s Soundscape app for guiding people with vision impairment around cities is now available for iOS in the US and the UK. The aim is to provide 3D audio cues that not only help you find your chosen destination – whether that’s a university building or a coffee shop – but also to make you aware of exactly where you are and what’s around you as you walk. Microsoft says that Soundscape achieves this by pairing with a stereo headset and calling out the names of roads and landmarks that you pass by. It also lets users find their way to a chosen destination using spatial audio instead of verbal instructions, and can call out points of interest around them so they can familiarize themselves with their surroundings. Soundscape is designed to be used either on its own or in conjunction with other wayfinding tools and methods, as well as guide animals. It was created in partnership with Guide Dogs UK, and Guide Dogs for the Blind, and the LightHouse for the Blind nonprofit that promotes independence of people who are blind or have low vision. Hopefully, folks will find this useful and provide Microsoft with feedback to improve and make the app available to more of the 300 million people around with vision impairments. The company previously released Path Guide, an app for indoor navigation that doesn’t rely on GPS of Wi-Fi to help you find destinations in malls, hospitals, and office buildings – instead, it works with crowdsourced directions for those locations. If you’re in the US or UK, you can try Soundscape right now by grabbing it from the App Store.